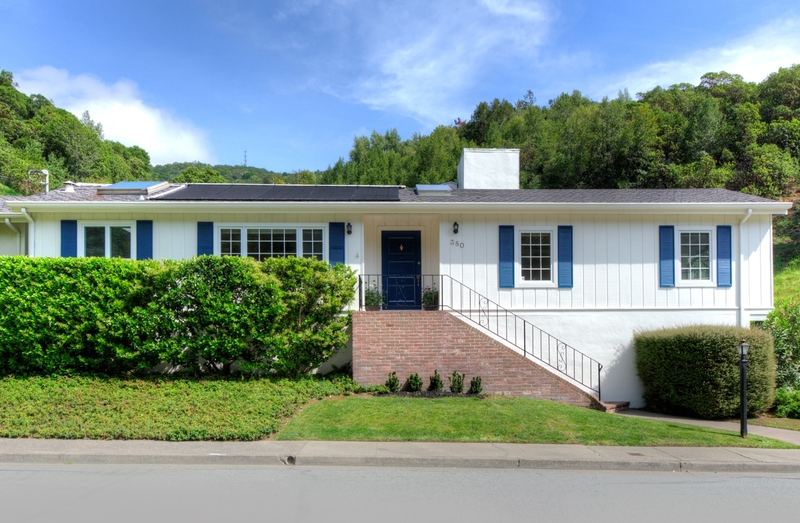 380 Mountain View Avenue, San Rafael ~ Traditional Dominican Elegance & Fun! Welcome to this gracious and elegant home featuring light filled rooms with high beamed ceilings, skylights, wainscoting, and random planked floors. Wonderful gatherings of friends and family are evident in the beautiful formal rooms, remodeled kitchen with attached breakfast bar and adjacent family room which opens to the private patio, pool and hot tub. All three bedrooms including the master suite are together on same level. Downstairs are another family room/office/ 4th bedroom, bath plus huge storage. Built with integrity, the home has a wonderful feeling of peace, happiness and love! Sunday Open House 4/24/16 from 1 to 4 p.m.